VALCORE Recycling is a Non-profit recycling center that accepts bottles/cans (Buyback) and donations (Other Recyclables). 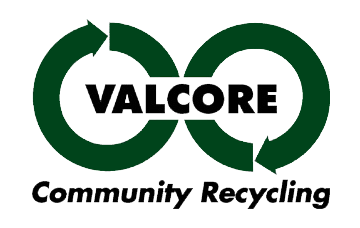 VALCORE is the only non-profit Community Recycling in Vallejo, CA. Read all about our history and involvement in the community as well as ways you can help. We only buy California Redemption Value (CRV) beverage containers. Donations are also welcome! Drop by our open hours Monday through Saturday. Need to shred some confidential paper? Drop off your paper every Monday-Friday during open hours. Every 3rd Saturday of the month you can also physically see your paper shredded. Fee applies; see inside for details. Donations of books, office, art supplies and other items are welcome to our Re-Use Barn. Visit us to see what is in store. If you have questions as to whether your donation would be a good fit, please contact us. VALCORE Recycling has teamed up with Car Donations Services, Inc. to provide you with the easiest way possible to donate your vehicle whether it is running or not. Click here to donate directly or enter our information page to find out more about this service.